A mature Chilli Mandragora. 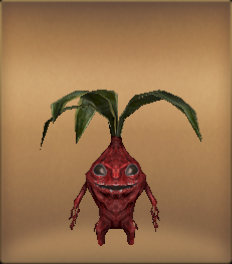 The Chilli Mandragora's red colour comes from its poison. The poison's potency can be reduced by cooling it. The poison can be made into insect repellent, used in processing food, making dyes and other materials. A highly useful plant.